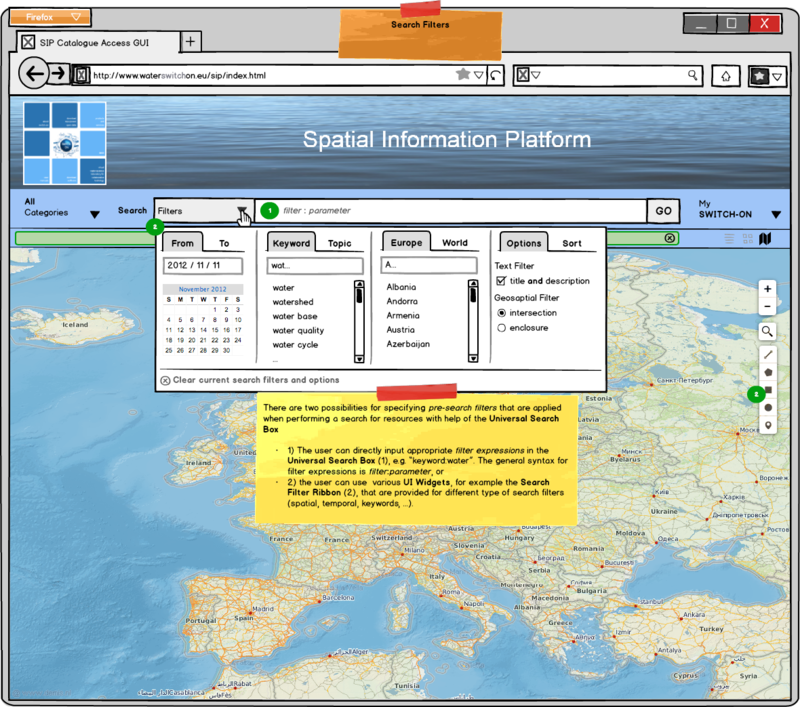 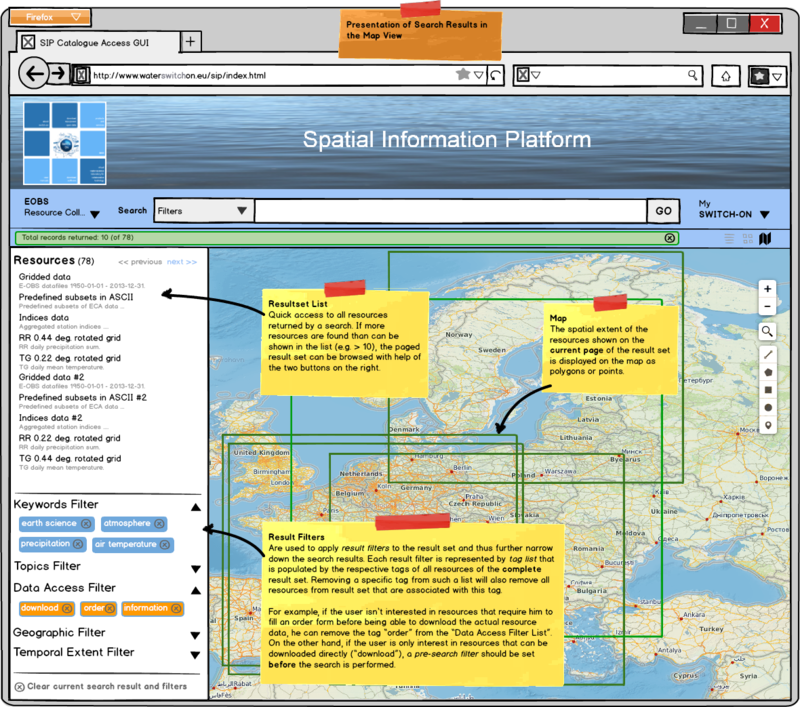 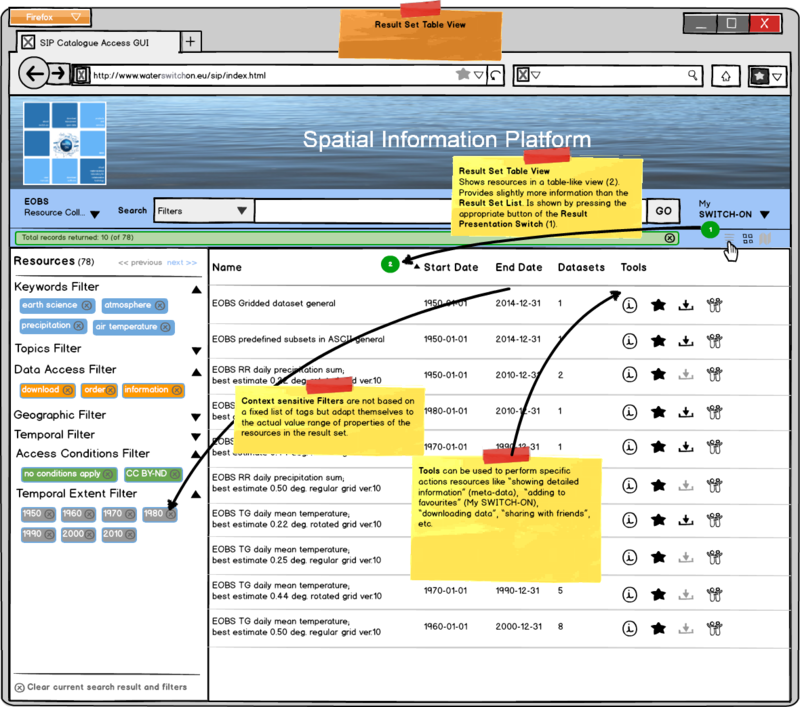 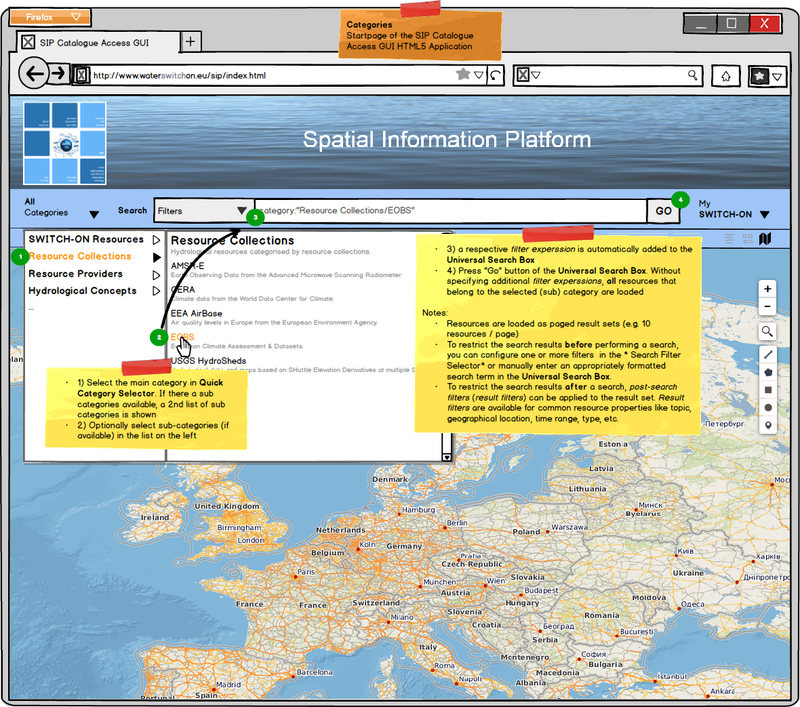 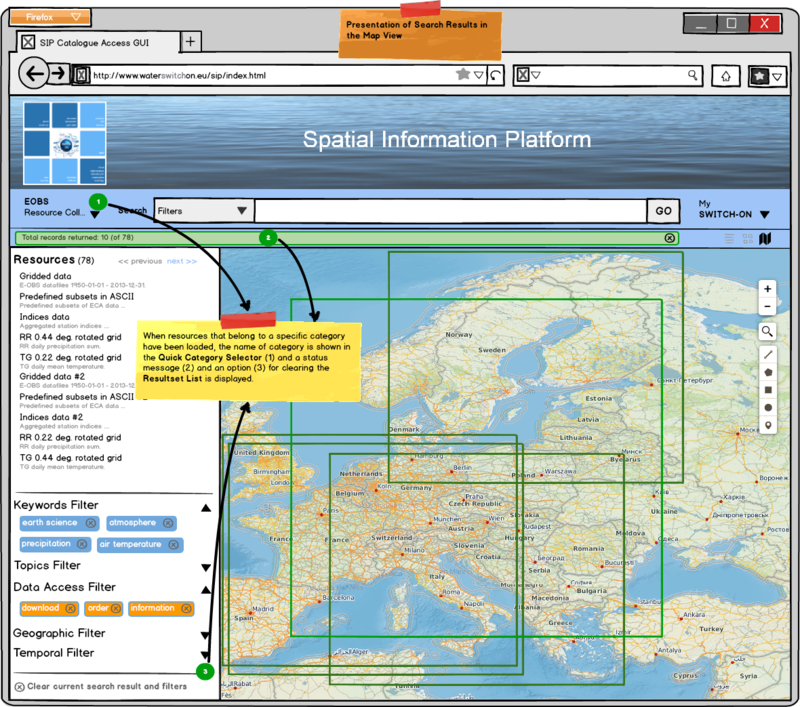 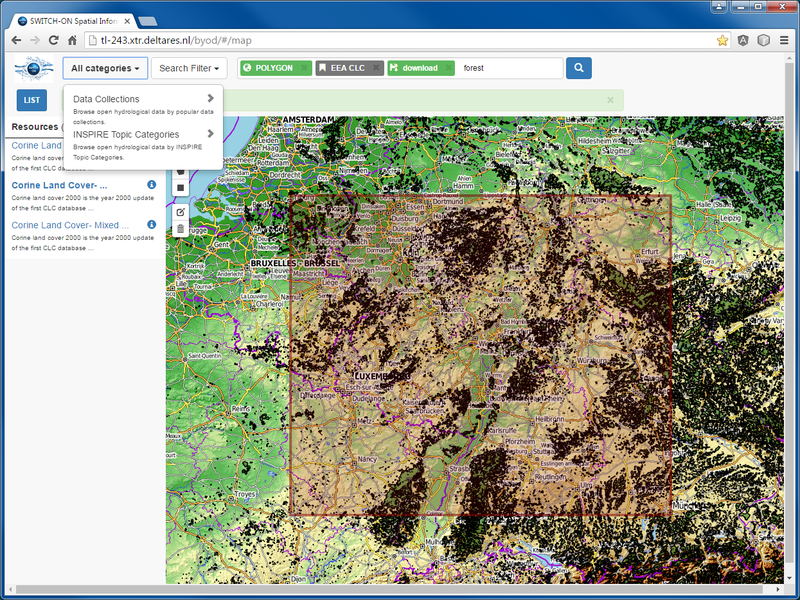 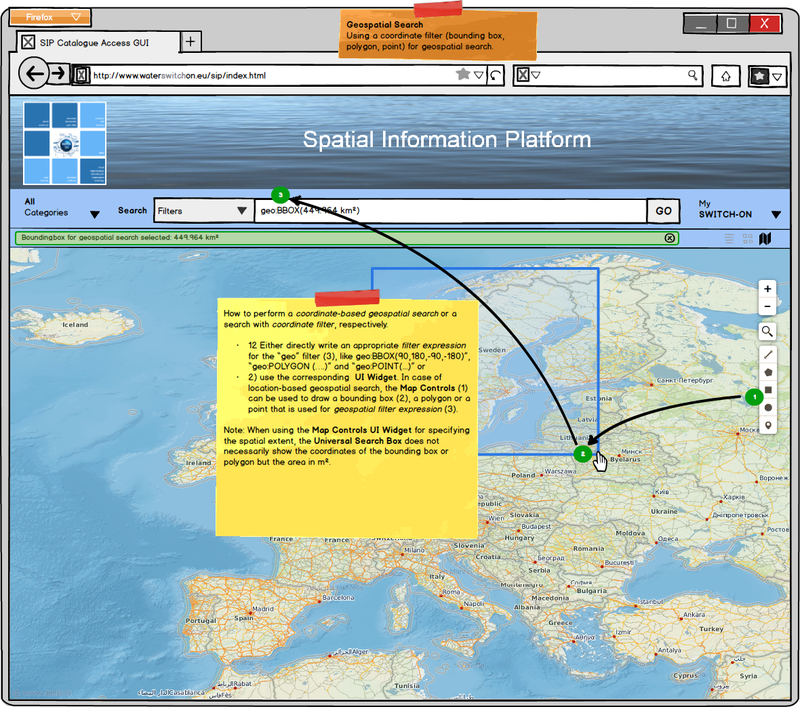 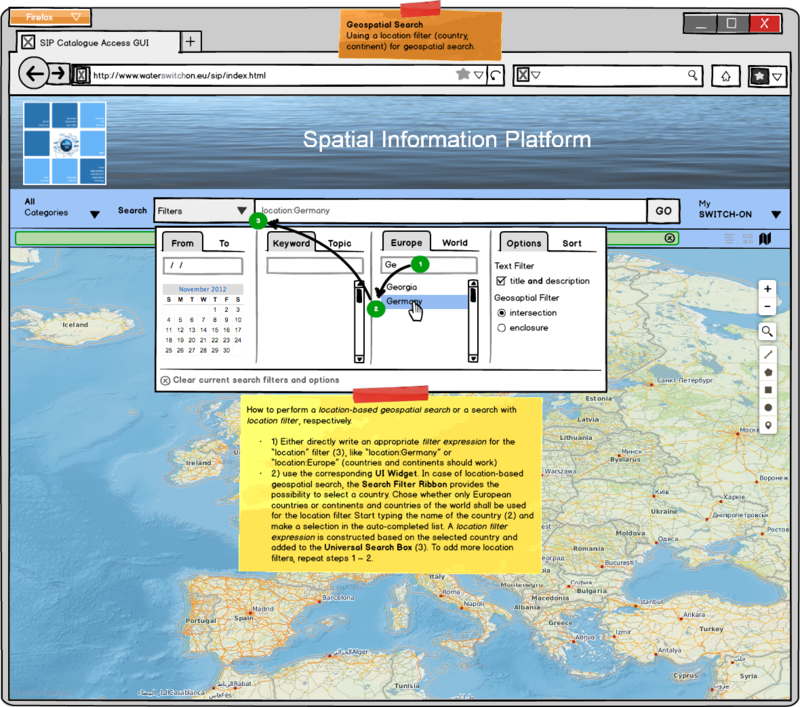 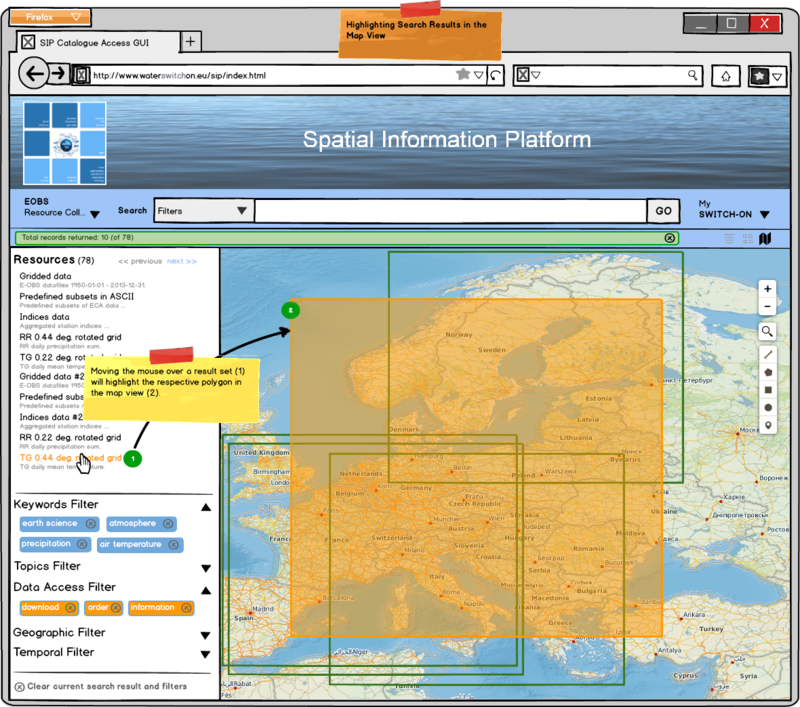 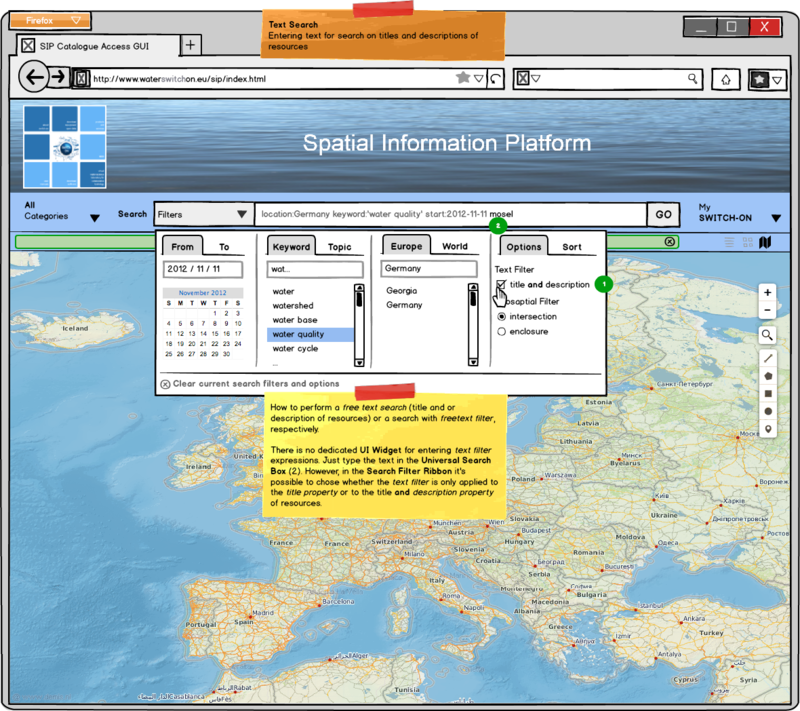 The BYOD (Browse your own Data) HTML5 Client is the main Published Catalogue Access GUI Prototype of the Spatial Information Platform (SIP) of the SWITCH-ON EU FP7 collaborative project. 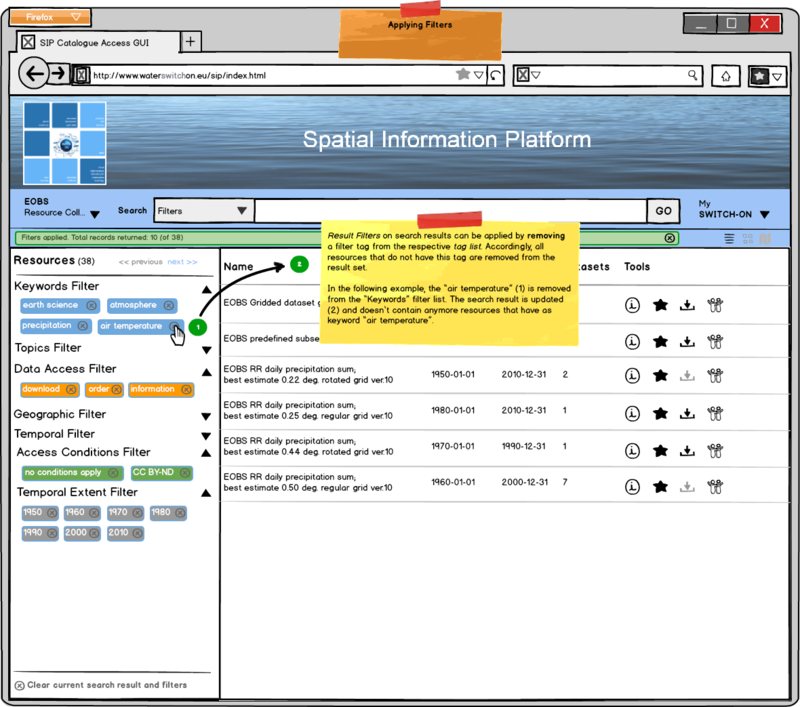 The Published Catalogue Access GUI is not meant to completely replace the more powerful SIP Expert Catalogue and Data Management GUI. 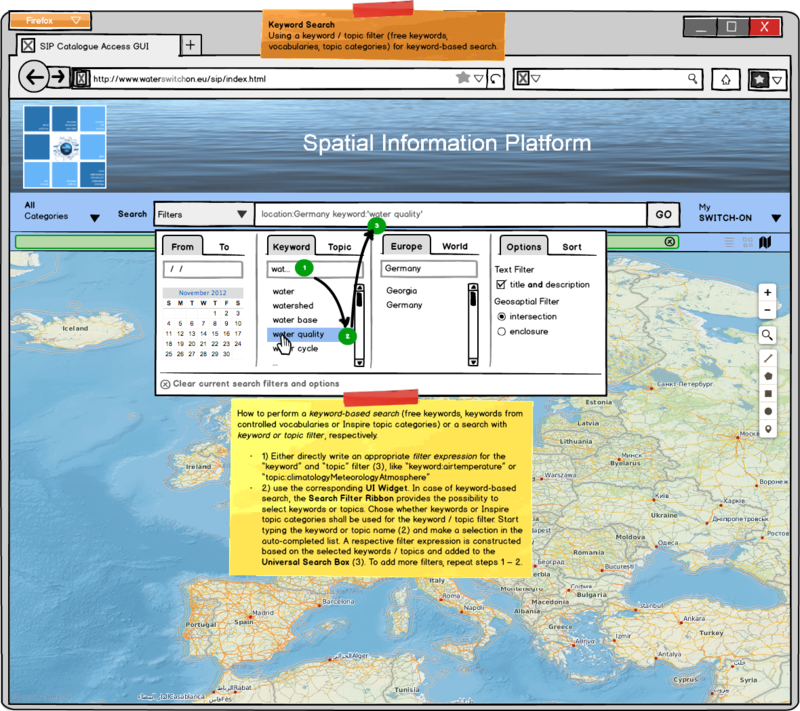 While the Expert GUI provides advanced features for Publishers of Open Data and administrators who need write access to the SIP's Meta-Data Catalogue, the Published GUI is mainly useful for scientists that want to find and use Open Data resources. 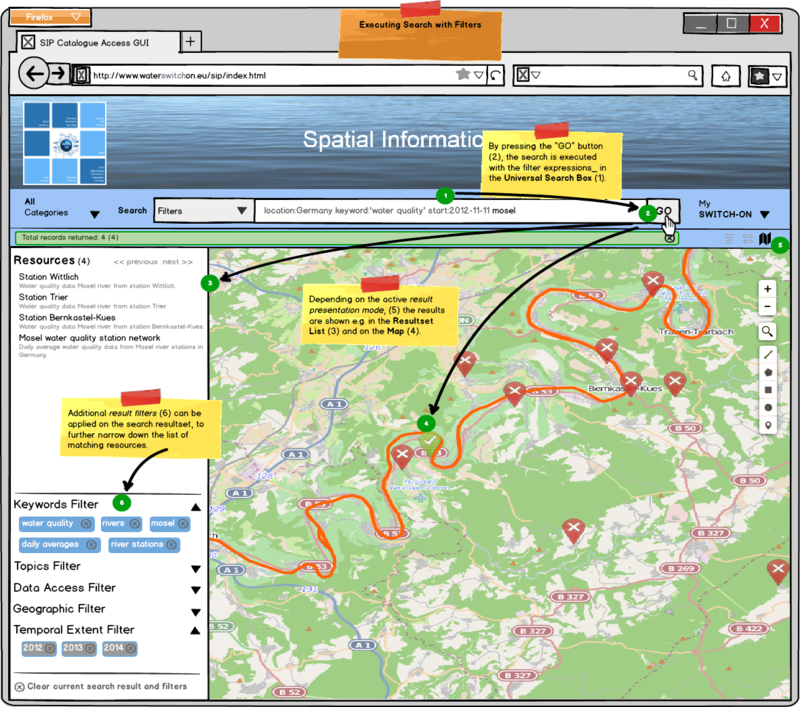 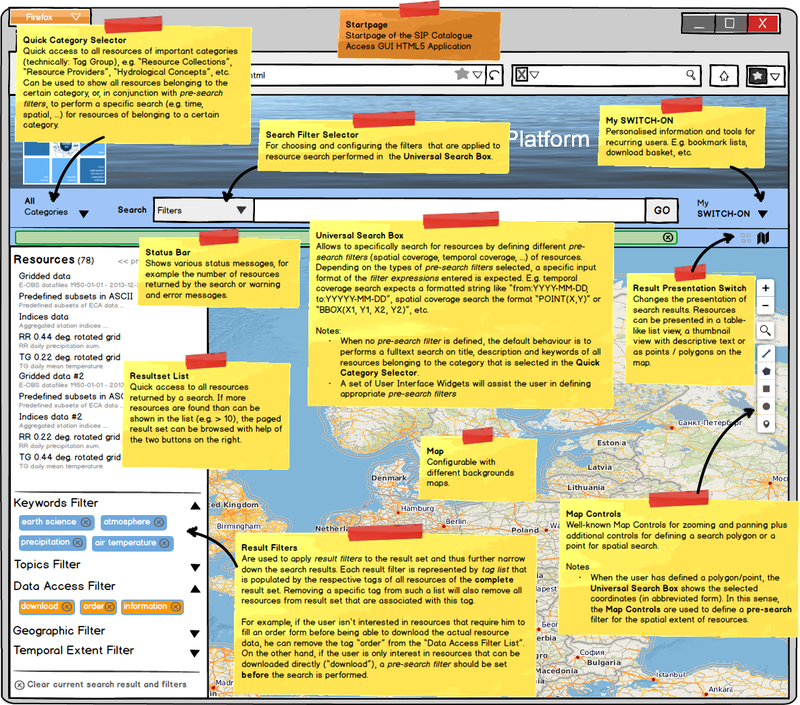 The following walkthrough is based on the mockups and user stories that were used as basis for the development of the Published Catalogue Access GUI.